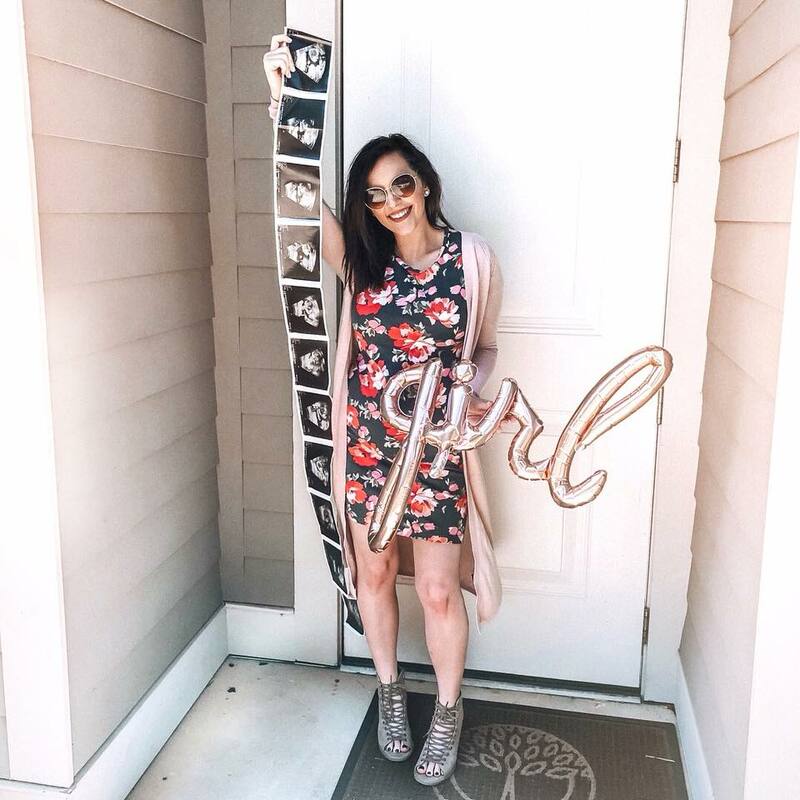 19 Week Pregnancy Update & NAME REVEAL! Hey friends! 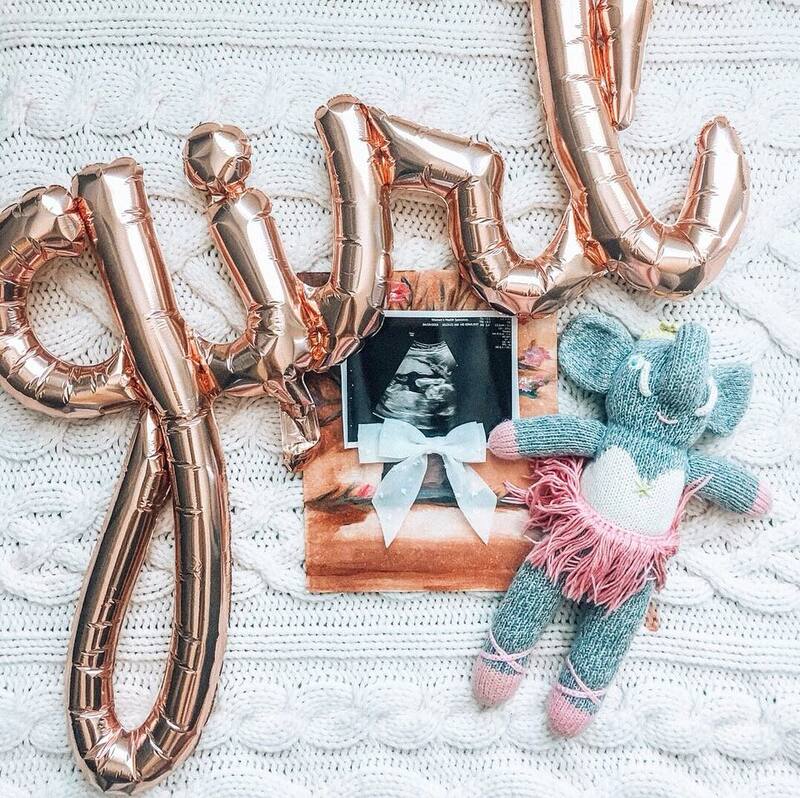 It's been a bit since I've done an bump update so I'm going to dedicate every Thursday (with the exception of this Thursday) to a new pregnancy update! Since about week 14, my nausea has subsided to only rear it's head here and there now which is such a relief. I am so thankful though that I was SO sick because it was reassuring that everything was probably ok. Y'all it was probably the most sick I have been out of all three pregnancies. Now that we are pretty much halfway to meeting our girl, I officially cannot fit in my jeans/shorts and have resorted to wearing fitted dresses or maternity leggings sooo thank goodness for the warmer weather! 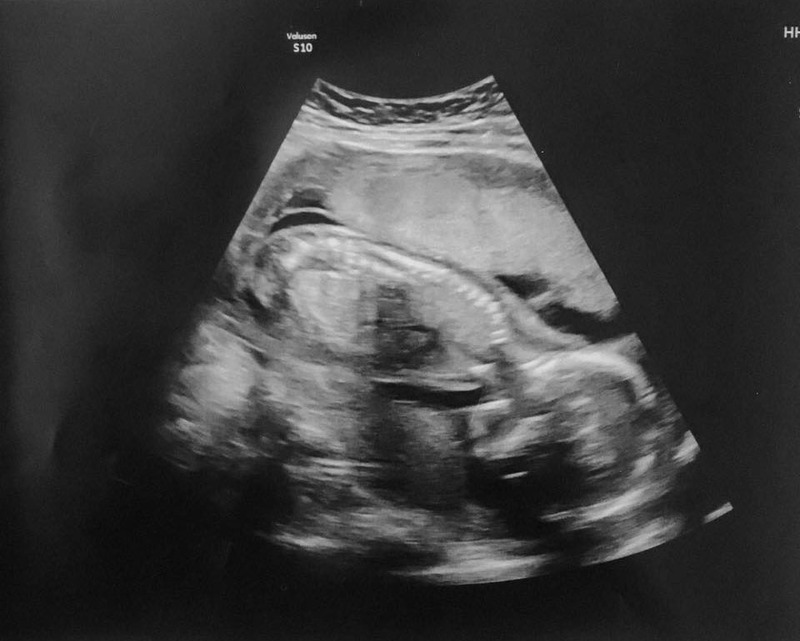 We had our anatomy scan though this past week and we were so excited to see our girl and how much she has grown! 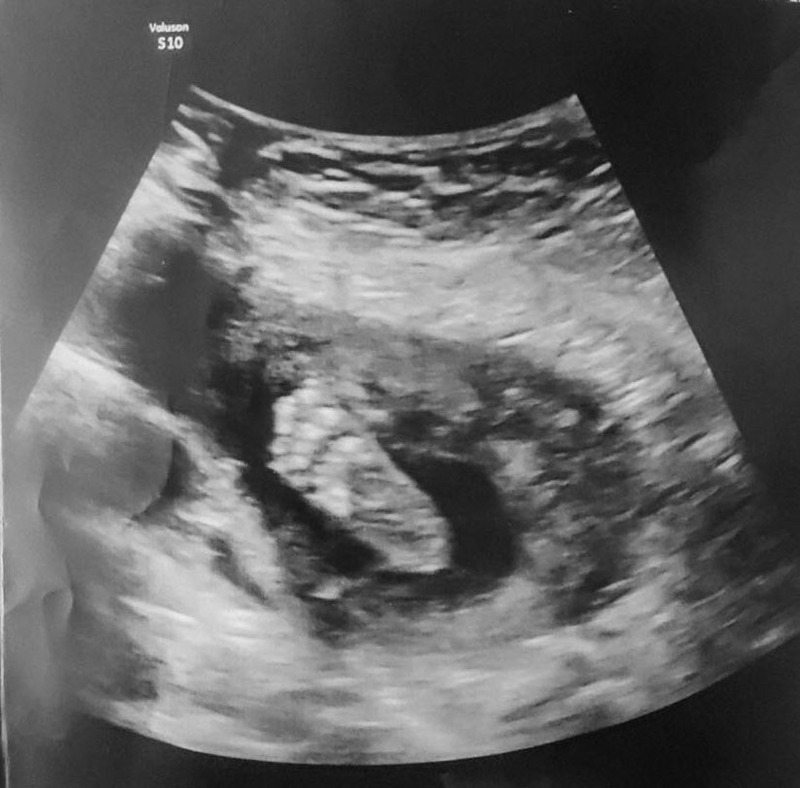 Everything checked out great, she's measuring a little bit ahead & has all 10 fingers and toes and is just the biggest & sweetest little blessing. She was pretty grumpy though with her fists balled up and did not want to move around in the early AM, can't say I blame her though, haha. We officially decided on a name for our sweet girl and we've chosen Zoe Sylvie Sims!! Sylvie comes from my grandmothers name "Sylvia" who passed away a week after Vivian was born in 2013. She was the best person, was really more like a second mom and I miss her oh so much!!! I wish she was still here and I could watch the kids play with her because they would have loved her just as much as I did! I know she's watching over us though so I hope she loves the name too! I've had a few random cravings but nothing too out there.This week it's been strawberries/fruit (what's new? ), chips and salsa (again, what's new? ), and cereal! More specifically Greenwise Organic Frosted Flakes. I've never been much of a cereal person so it's kind of taken me by surprise but I cannot get enough! I've also been loving chicken burritos. We love to pick up a rotisserie and make our own in a gluten free wrap, they're so good! BODY PILLOW. Y'all I can't sleep and get so uncomfortable so easily already that I have to sleep with a pillow between my legs or have them propped and sleep on either of my sides. Also, these cinnamon mints. I got sick once earlier this week which was so random but girlfriend was not happy with me for what I had for lunch. I keep these mints and they help anytime I'm feeling nauseas. Pretty much every meat other than chicken & turkey bacon. Don't talk to me about beef, ground turkey, fish, none of that. If y'all know Chase, you'll know he is a huge pasta fanatic but made ravioli the other day and I couldn't stomach to be in the same room as him while he ate. (sorry babe!) Also I still can't stomach the thought of orange juice but I think that's because I was soooo sick when I would try to drink it in the first few weeks it turns me off now. Apple white grape juice on the other hand, yaaaaasssss! I'm already having backaches quite frequently and get so tired really easily. I was doing IV iron treatments pre pregnancy because I was mildly anemic, had my levels checked in February and they had increased to put me in the normal range. I had it checked at our doctors appointment this week because I get WIPED y'all and could go to bed by 6/7pm. Hopefully it's just regular tiredness + chasing two other babes that's got me feeling so sleepy instead of my iron being low again. Other than that I feel really great and feel like getting ready most days which also makes me feel better overall! Yes!!!! I usually only feel her when I'm relaxed and laying down. Right now, I have an anterior placenta so it prevents me from feeling her a little bit but she still makes sure to throw a few harder jabs at me ;) It's the the best feeling!!! 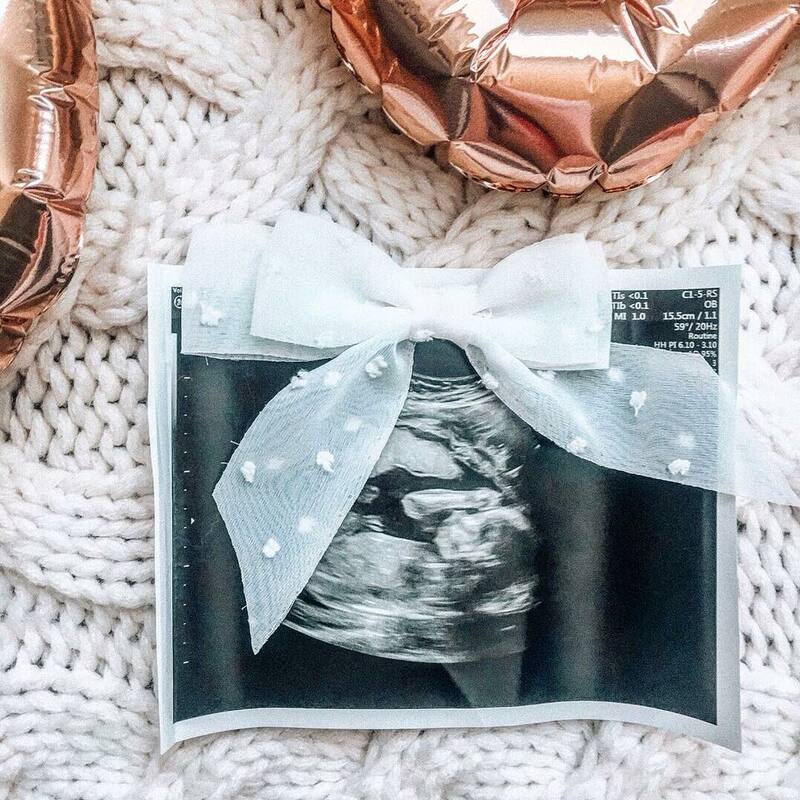 I hope you guys are having the best start to the week and if you're expecting, please fill me in on your current favorite things!! Love you guys!! ^^ Pretty much feel like I won the jackpot at Chuck E Cheese with all my tickets, haha!